: Thanks for the clarification. Although you don't see them labeled in the games, most, if not all, Halo games have had objects in them labeled as "battery" and "Battery Charger" on the Covenant side. Some are very large and would seem to be vehicle-grade, but others are small enough to be held by Covenant perhaps suggesting it could be for weapons or equipment. I would also suggest that, fictionally, placing the weapons back in the standard weapon crates would also serve to charge them, since the crates have power, lights, and are suggestive of a powered mechanism and not just a non-technological crate. 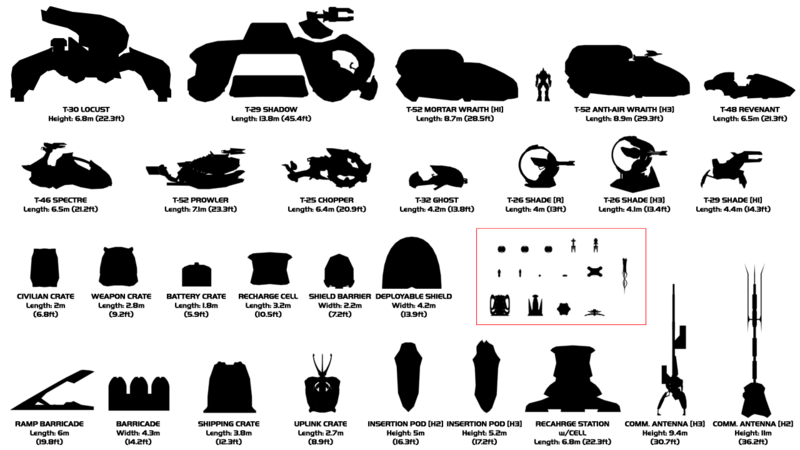 In the image below from my scale charts, you can see a Recharge Cell and Recharge Station (the station has a cell on top of it), a Battery Crate (all from Halo 2), and in the red box, the largest item is a Halo 3 "Covenant Battery" which we normally call a fusion coil for the UNSC.